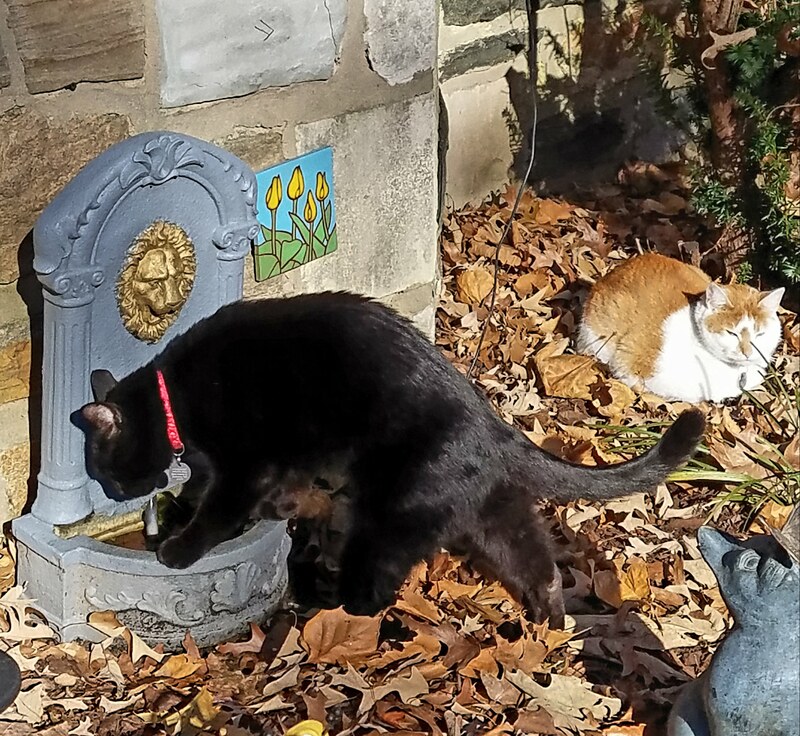 Talk about a fancy kitty fountain…! Fit for the gods kitties are! Aren’t you two lovely enjoying some late November sunshine? *taking off my glasses* No, where does this purring come from? A sunny day like that shown is perfect for RAKING up the leaves! BOL! I always just sleep through it while my humom has to go to work!